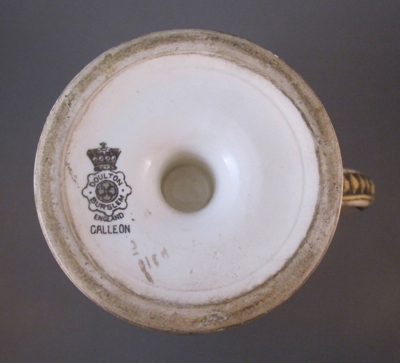 I purchased this first period bell-shaped Worcester porcelain mug from a dealer in the UK who has been feeding my compulsive desire for antiques with inventive repairs for many years. 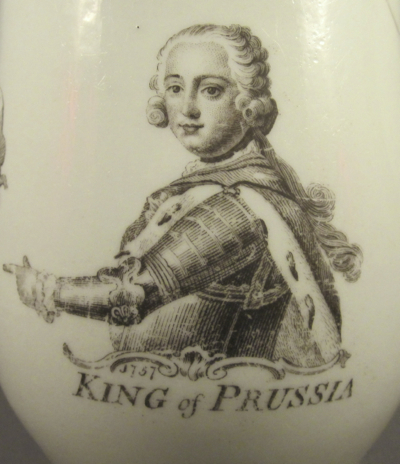 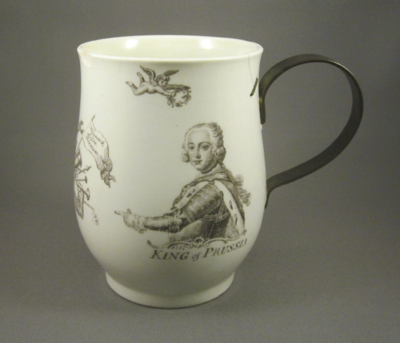 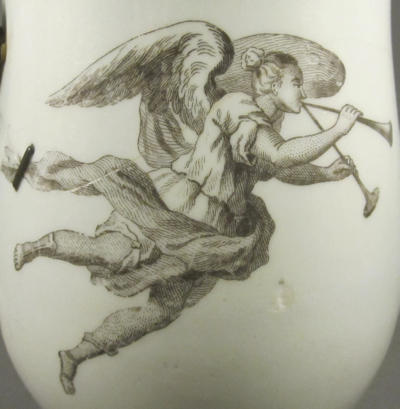 It has a black transfer print of Frederick the Great, the King of Prussia, along with military trophies, an angel blowing a trumpet, and a putto with a wreath. 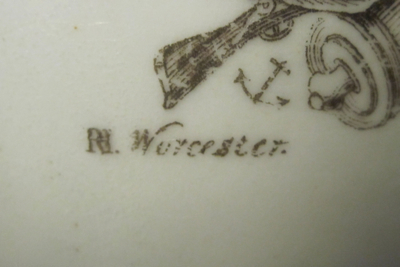 It is dated 1757 under his left arm and marked RH (for Robert Hancock) Worester and an anchor mark for Richard Holdship (a rebus for his last name.) 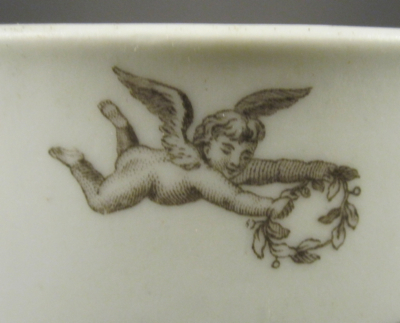 The decoration was taken from Richard Houston’s engraving after a painting by Antoine Pesne. 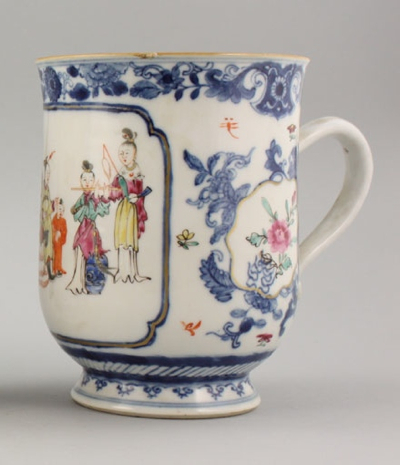 This is one of those items that if I saw one in a shop in “perfect” condition, I would secretly wish it had an early repair, as I am drawn to strong graphic images on ceramics. 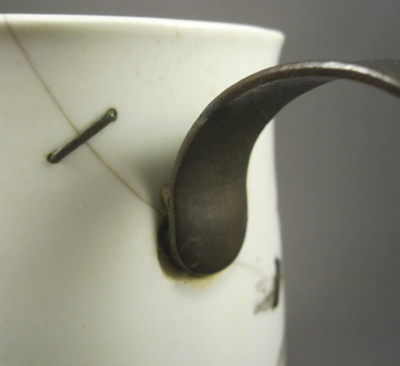 Luckily for me, this one has a metal replacement handle, attached by a metalsmith after the original loop handle broke off, as well as two metal staples to help stabilize a crack. 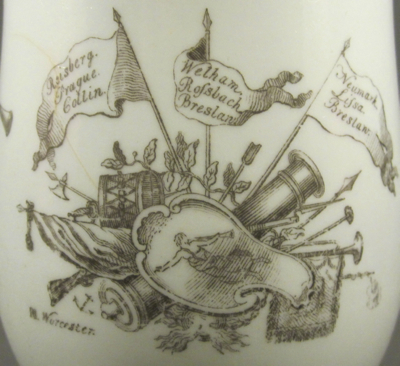 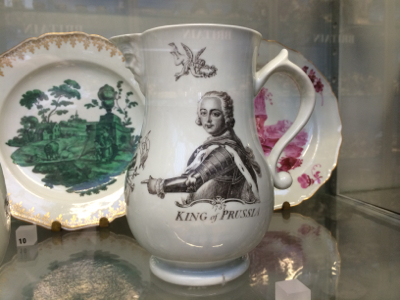 During my recent visit to the UK, I spotted the same transfer decoration on numerous pieces of ceramics included in many different museum collections. 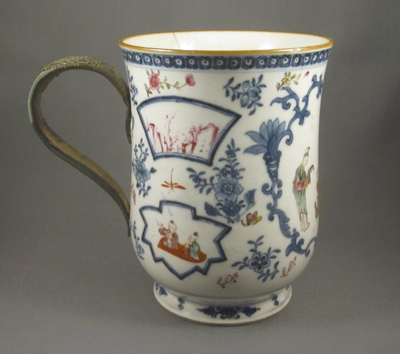 This jug can be found in the fabulous ceramics collection at the V&A. 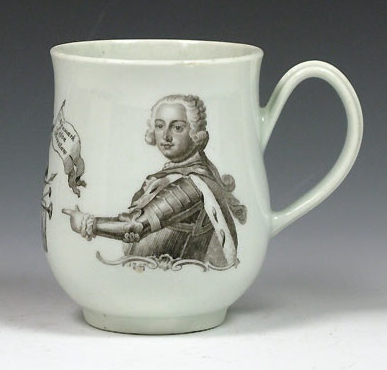 This mug, with similar form, decoration, and its original handle intact, shows what the handle on my mug looked like before it snapped off. 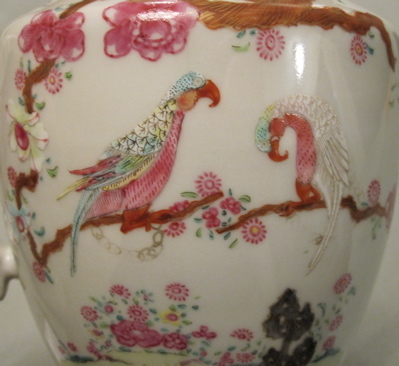 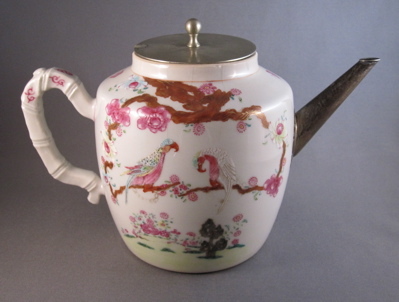 During one of my early trips to the UK in search of ceramics with inventive repairs, I found this charming Chinese soft paste porcelain teapot decorated in the famille rose palette and painted with colorful parrots and flowers in polychrome enamels with gilt highlights. 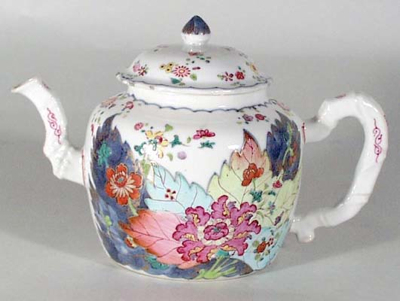 The teapot measures 5″ high and is 9″ wide from handle to spout and was made during the Qianlong period (1736-1796) for export to Europe and North America. 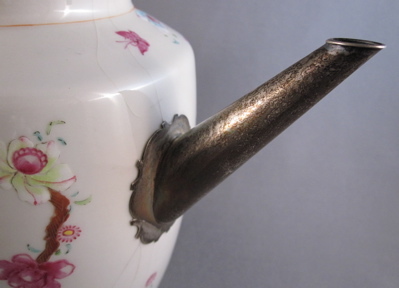 After a tumble, the fanciful spout, which most likely matched the bamboo-form handle, broke off and was replaced by a more streamline metal one with a decorative backplate. 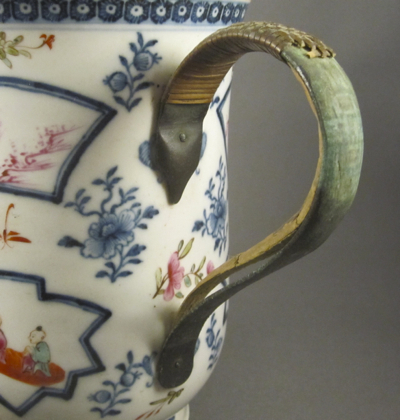 Curiously, the handle did not suffer from the fall and remains intact. 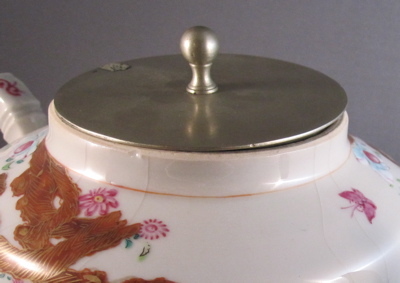 There is no way of knowing what happened to the original lid, but it has been replaced by a 20th century silver plated cover that fits snugly but looks nothing like the porcelain original. 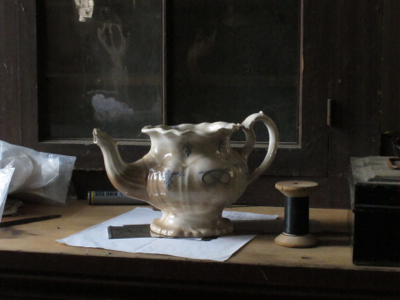 If only this pot could talk! 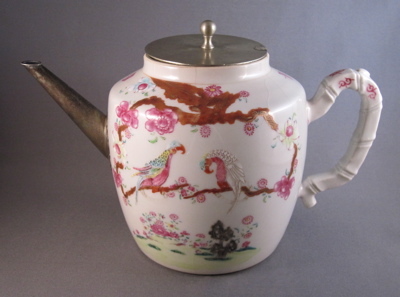 This teapot with similar form shows what the original spout and lid on my teapot might have looked like before it took a tumble. 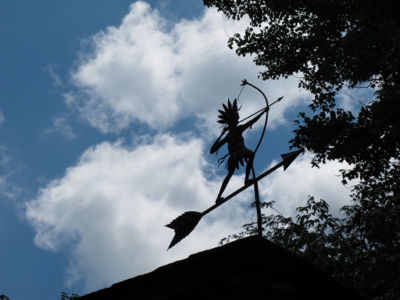 Photo courtesy of Earle D. Vandekar of Knightsbridge Inc. 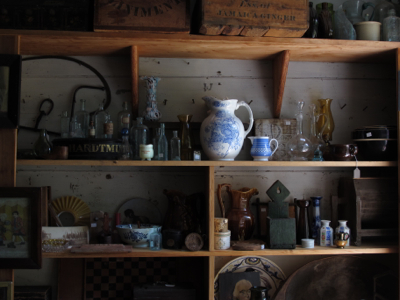 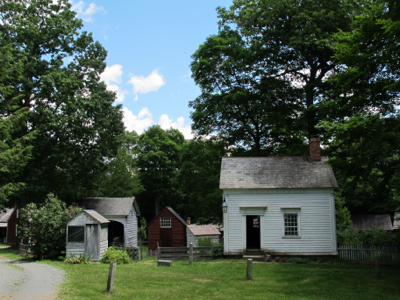 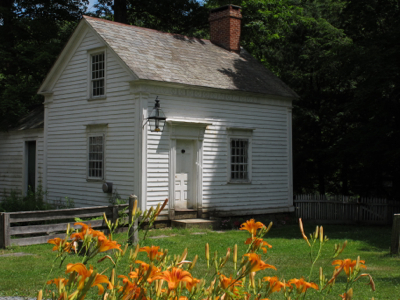 Please join me for a two-day workshop, PERIOD MAKE-DO’S AND HOW TO REPRODUCE THEM, at Don Carpentier’s Historic Eastfield Village, 104 Mud Pond Rd, East Nassau NY 12062, on June 9th & 10th. 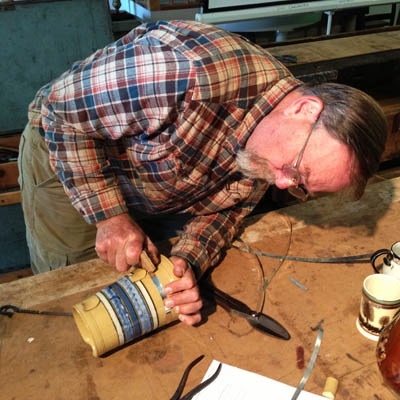 Under the guidance of experienced instructors, you will learn early methods of restoration and create your own make-do repairs on damaged pieces you bring in. 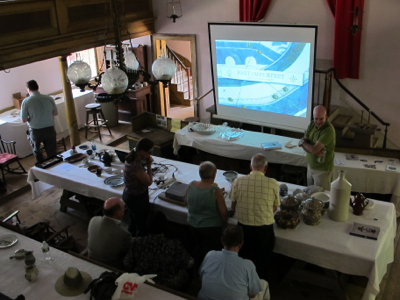 In addition, I will be there to show examples from my collection, so please join us for a fun and informative workshop. 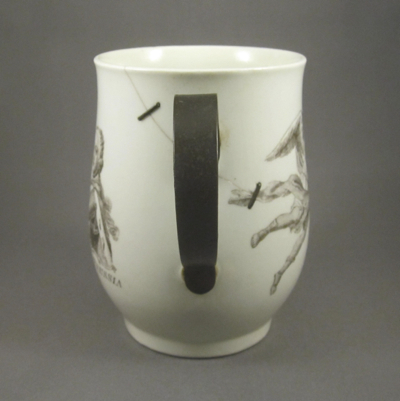 And make sure you check out the schedule for other workshops throughout the summer, including “Dish Camp”, a 3 day ceramics lalapalooza which must not be missed! 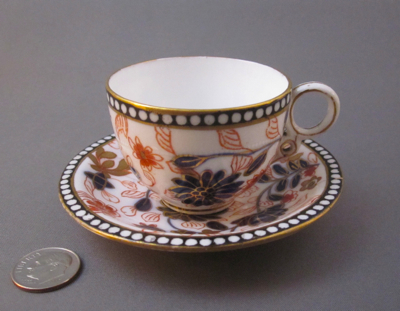 This minute bone china porcelain cup & saucer duo, made at the turn of the 20th century at the Coalport factory in Shropshire, England, has some of the smallest metal staple repairs I have ever seen. 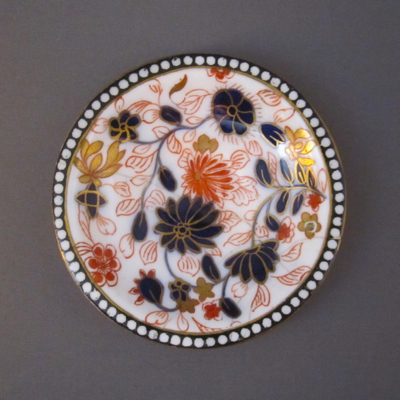 It has printed Japanese style floral decoration in the Japanese Imari palette, consisting of iron red, cobalt blue and gilt enamels. 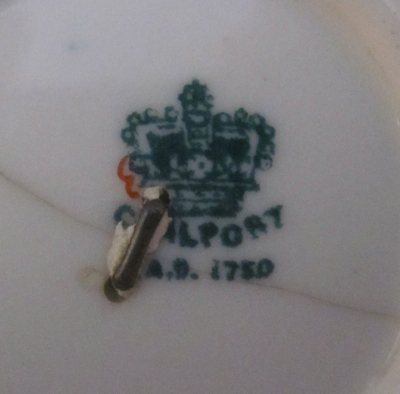 Both pieces are marked with a green stamp on the underside, dating them to 1890-1920. 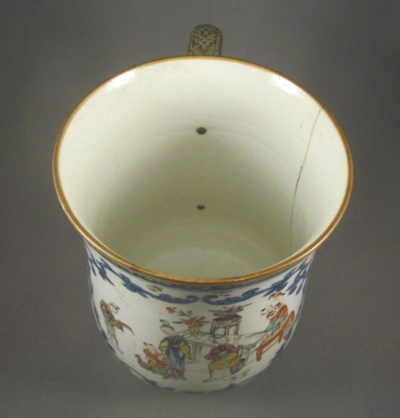 The saucer measures 3-1/4″ in diameter and the cup stands nearly 1-1/2″ high with an opening of 2″. 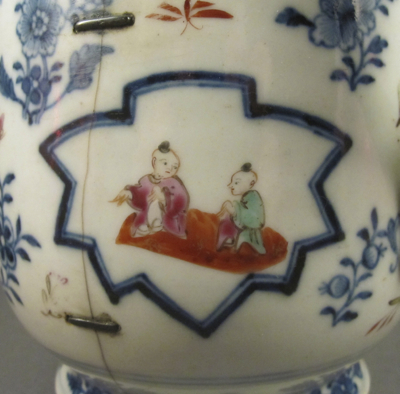 After the dainty saucer fell to the floor, breaking into six small fragments, it was brought to a china mender who pieced the puzzle back together. 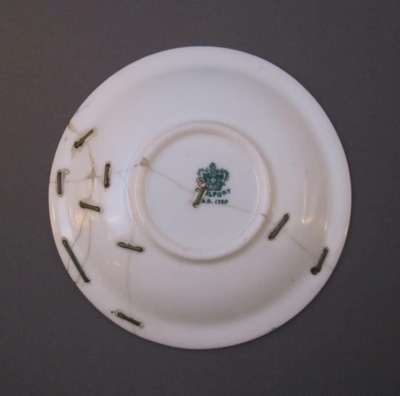 Using 10 custom made metal staples, the smallest being a mere 1/4″ long, the saucer was once again able to function as a support to the tiny cup it carried. 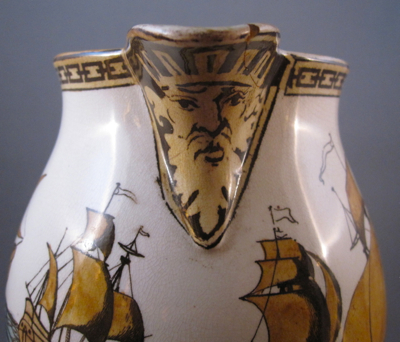 Imagine the nimble fingers capable of creating such fine work! 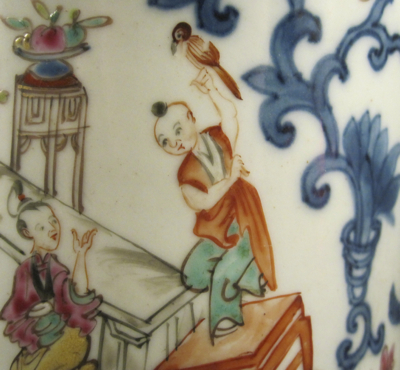 I am hoping the boy survived his table climbing antics unharmed, but it seems this 6-1/4″ tall mug was not so lucky. 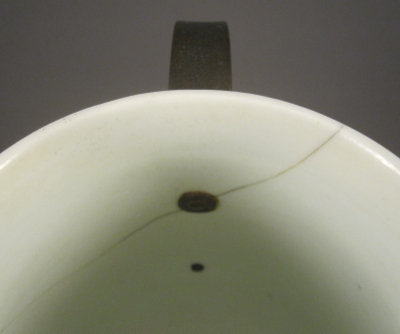 Sometime in its early life, the mug slipped from the hands of a thirsty drinker and it crashed to the floor, resulting in a broken handle and a large crack to one side. 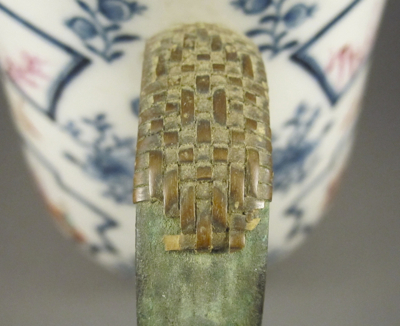 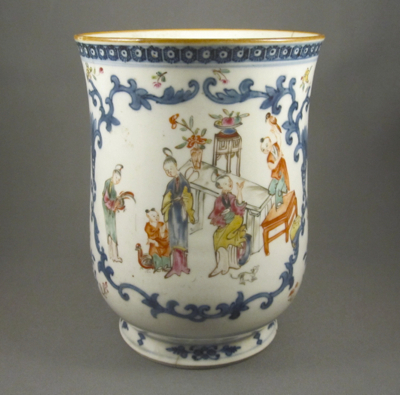 Because Chinese porcelain was expensive and highly valued in the 18th century, it was taken to a “china mender” who formed a bronze replacement handle and covered it in woven rattan for insulation. 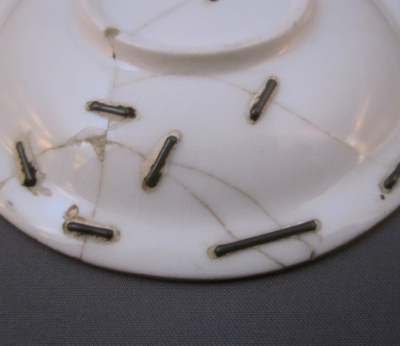 Four metal staples were applied to stabilize the crack and the mug was able to be used again. 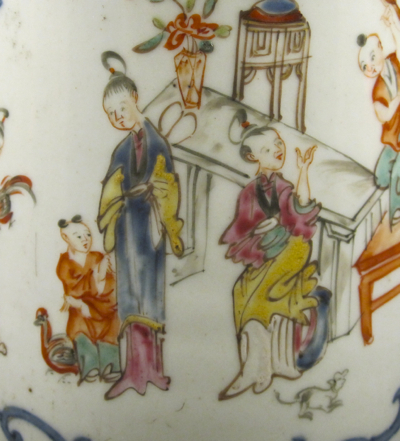 Happy Mother’s Day and remember children, listen to your mother! 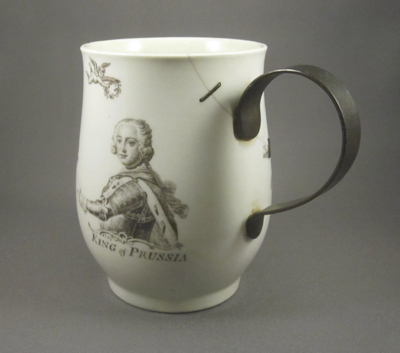 This mug with similar form and decoration still has its original loop handle intact. 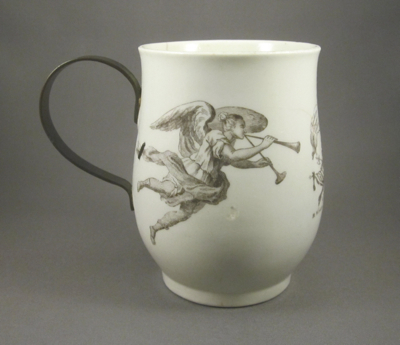 This Teniers shape footed porcelain jug was made in Burslem, Staffordshire, England by Royal Doulton, 1892-1902. 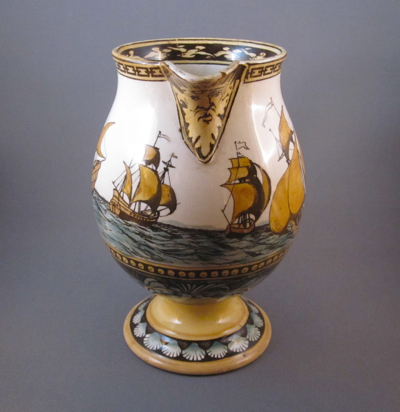 The bold transfer decoration in the Galleon pattern is printed in black with hand painted washes of mustard and aqua. 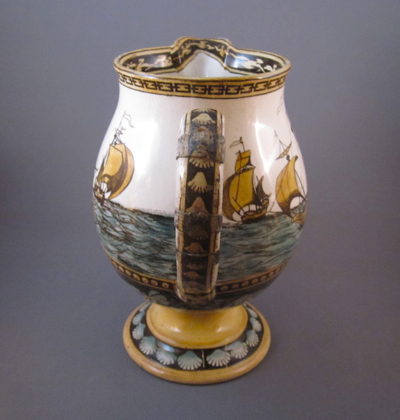 This popular nautical scene appears on other forms, including vases and tobacco jars, and is clearly stamped in black on the underside DOULTON, BURSLEM, ENGLAND, GALLEON. 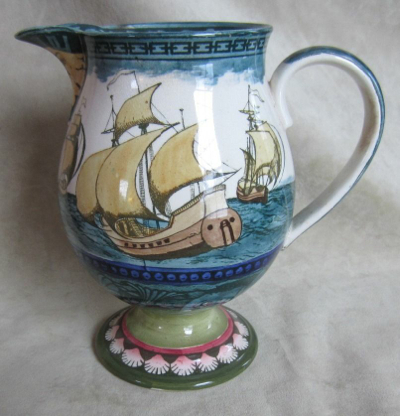 Jug measures 7 inches high and 7 inches wide. 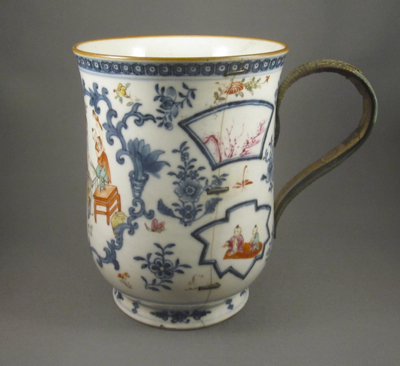 After this heavy jug slipped through the hands of an earlier owner, breaking its handle into four pieces, it was taken to a tinker (or china mender) who reattached the sections using five wide metal cuffs. 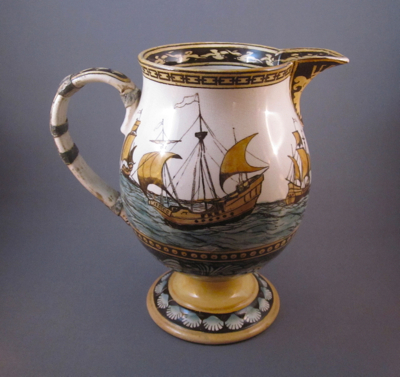 Rather than leave the unfinished metal repairs to detract from the allure of the jug, the bands were painted in enamels to match the color and decoration of the handle. 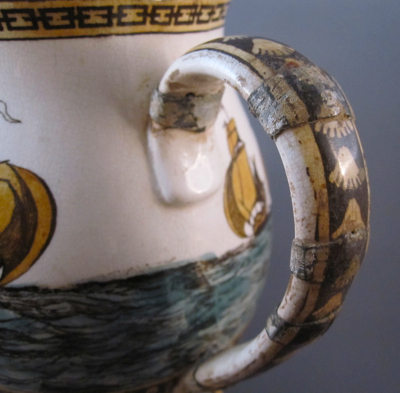 Although the color on the repairs has mellowed with age, the result still holds up and continues to be effective. 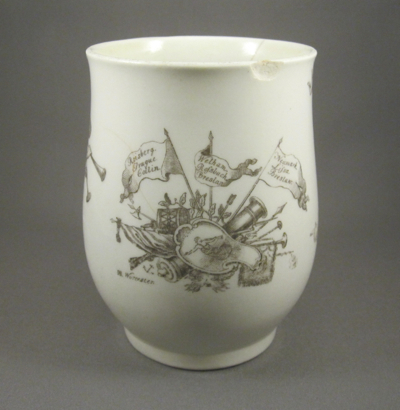 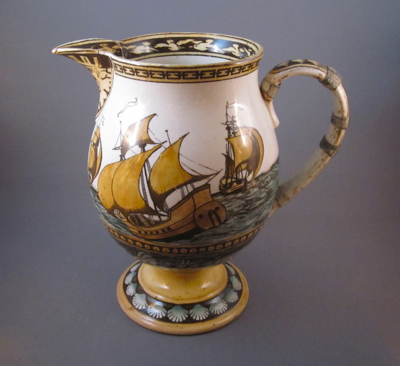 The Dalton Lambeth Galleon jug shown here has a different coloration and a perfect handle.